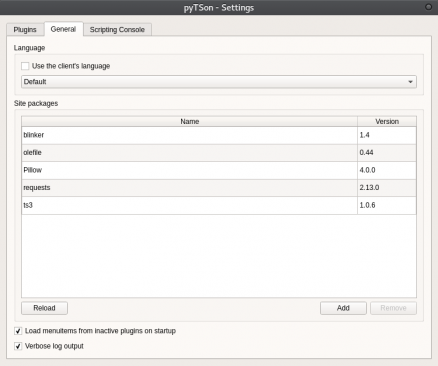 pyTSon is a Python plugin for your TeamSpeak 3 client. 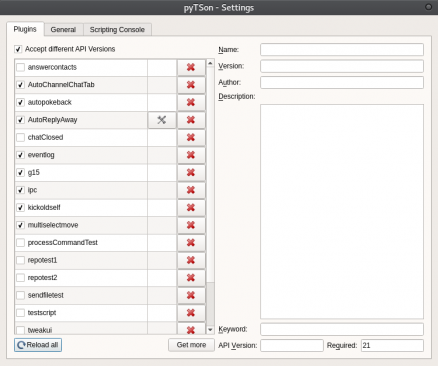 It offers a python3 (current used version is Python 3.5.7) interface for the plugin sdk. 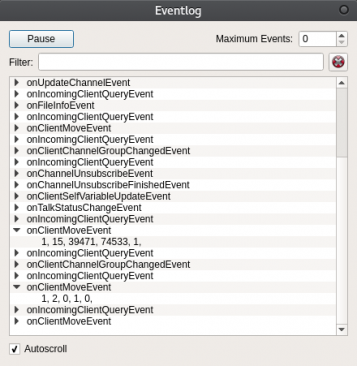 This plugin makes your client scriptable, react on events or write your subroutines callable by hotkeys or from the client's menu. Many classes of the Qt framework are wrapped as python classes, so you can easily add ui functionality to your scripts in pure python.